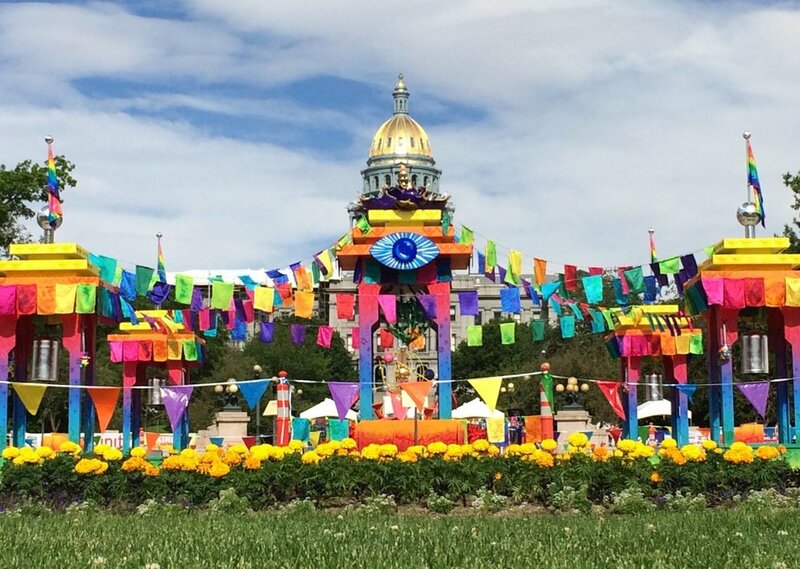 The Hanzon Shrine to Humanity featured five temples built and designed by Paulo Wellman, then hand-painted and embellished with artistic symbols of the chakra system, as well as steel bells with ornate mallets for festival goers to chime. 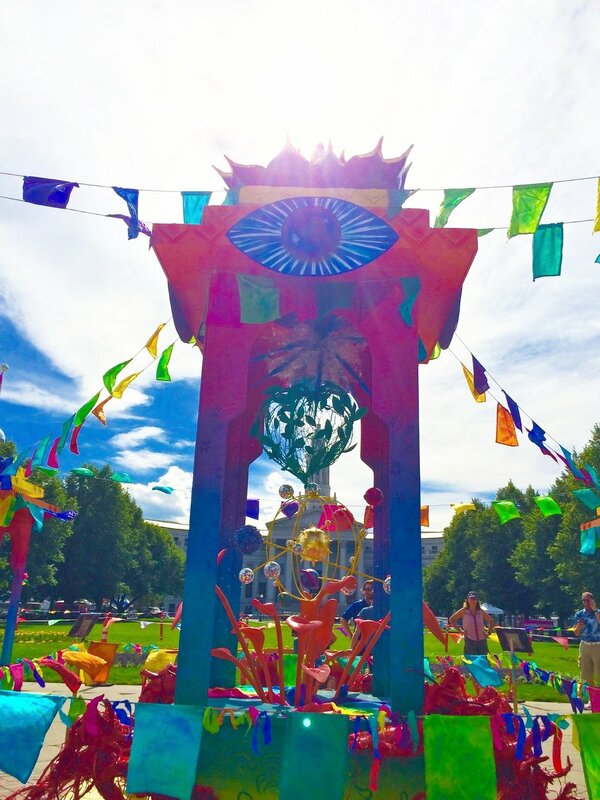 Over 200 hand-sewn and dyed silk flags, invoking prayer flags, adorned the sanctum, while four proud hand-dyed rainbow flags crowned the perimeter. 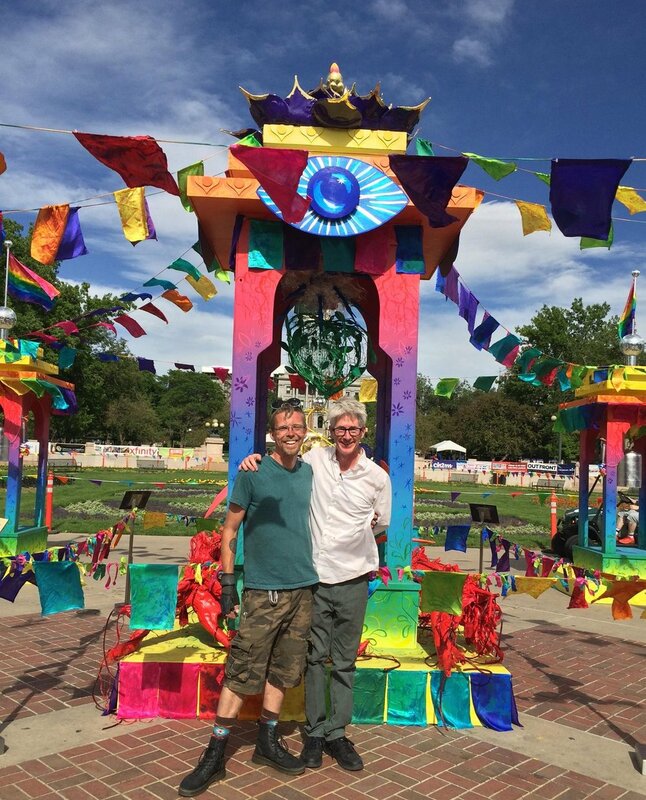 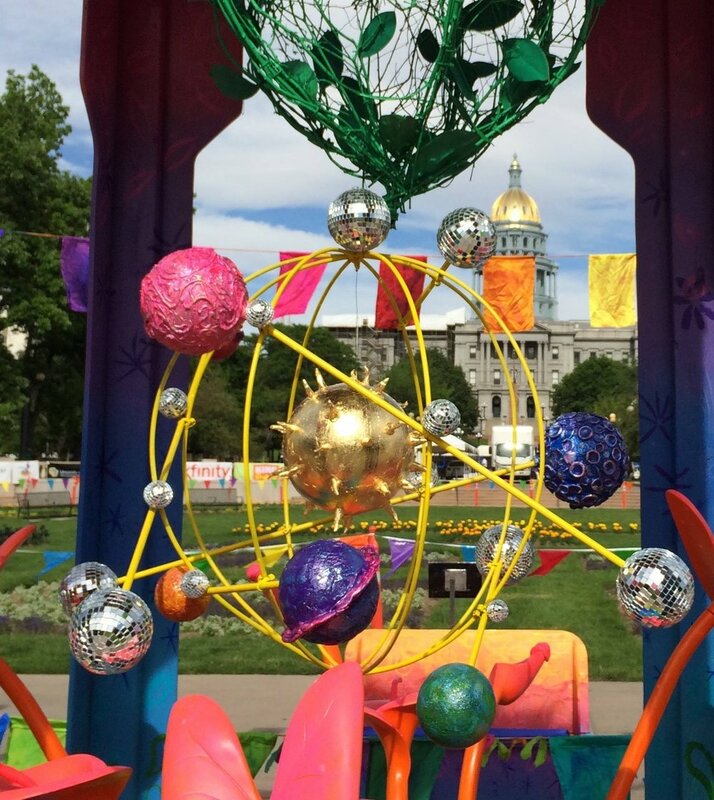 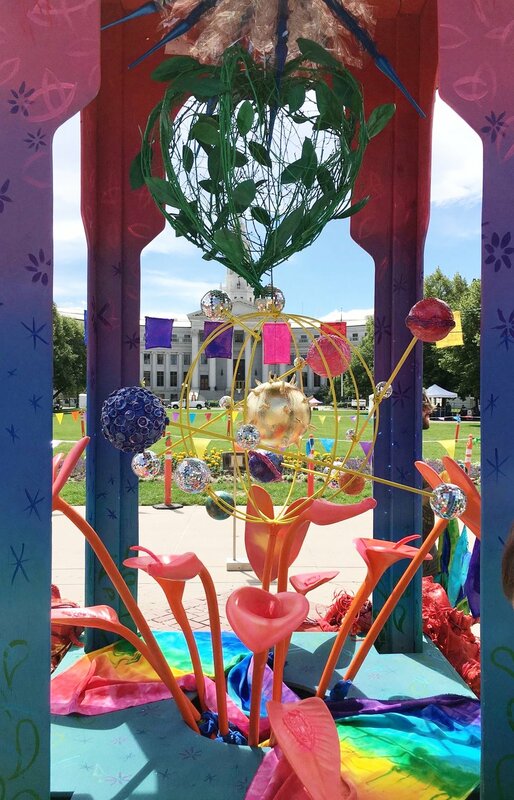 There were also four hand-painted 'contemplation benches' pointed toward the beautiful shrine for festival go-ers to sit a moment and reflect upon what Gay Pride really means to us as individuals, communities, and nations. 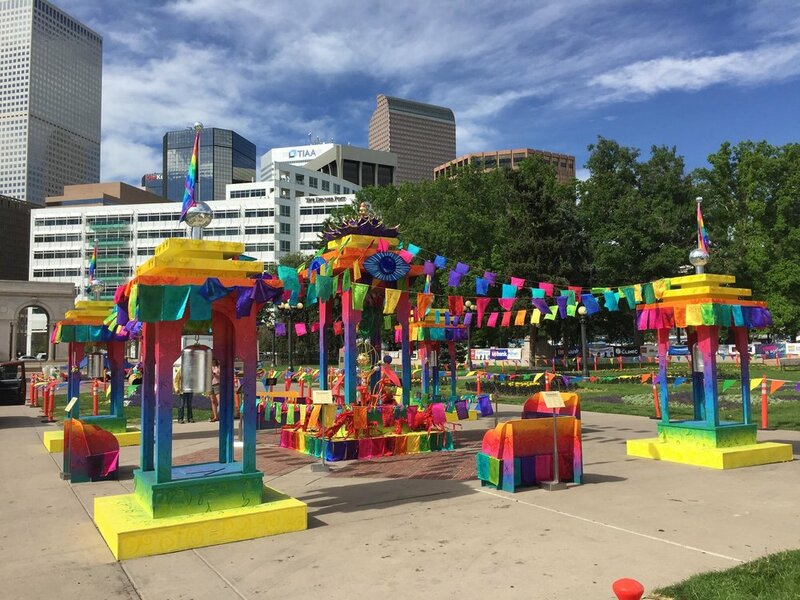 The lavish colors were not only eye-catching and upbeat, but also paid tribute to Gilbert Baker, the artist and gay rights activist who first designed the rainbow flag, and who passed away in March of this year. 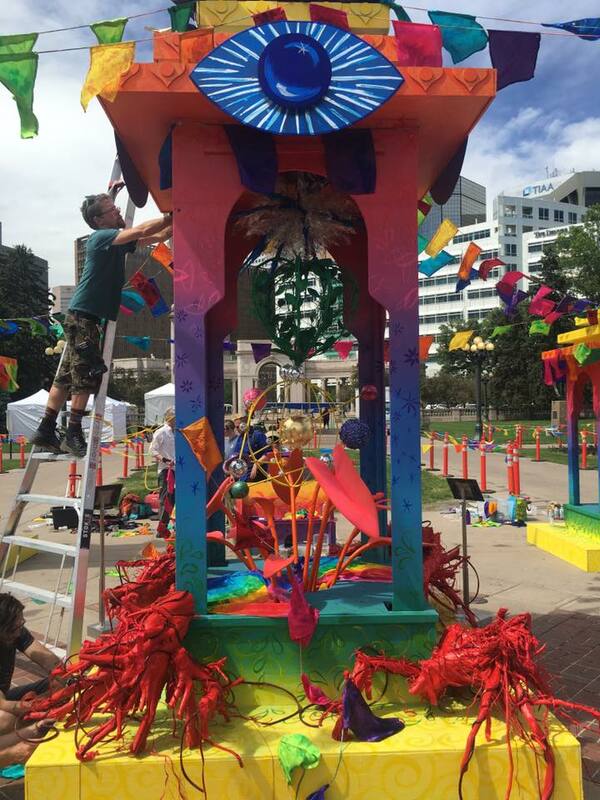 See the Shrine being built in these candid shots from the studio. 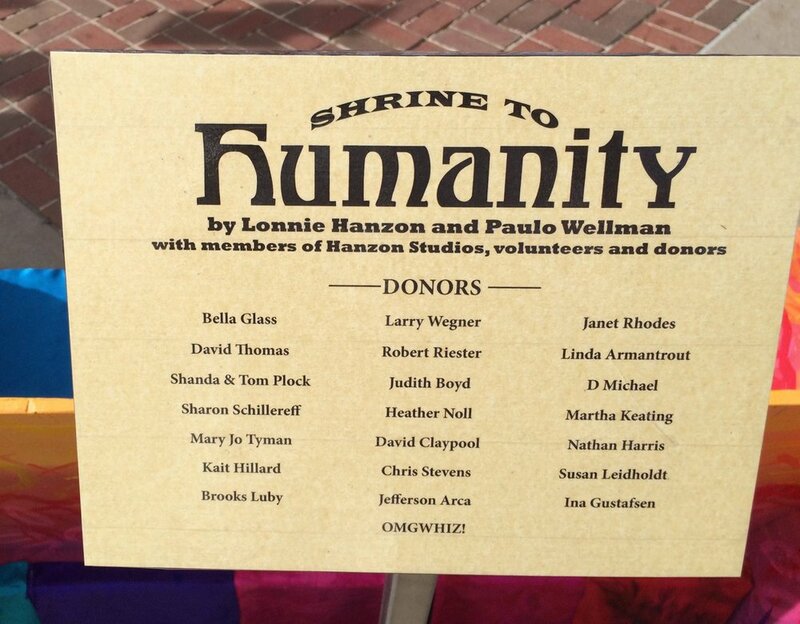 Shrine to Humanity wasn't the only contribution Lonnie made to the Festival of Pride this year. 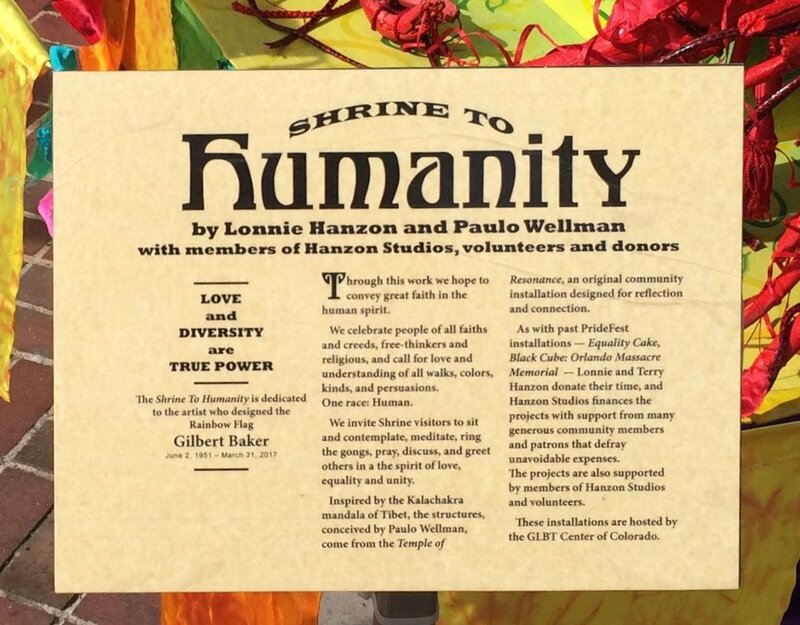 A slightly more somber and deeply thoughtful project, his beautiful illumination of Toward a Global Ethic, an amazing document promulgated by the Council for a Parliament of the World's Religions. 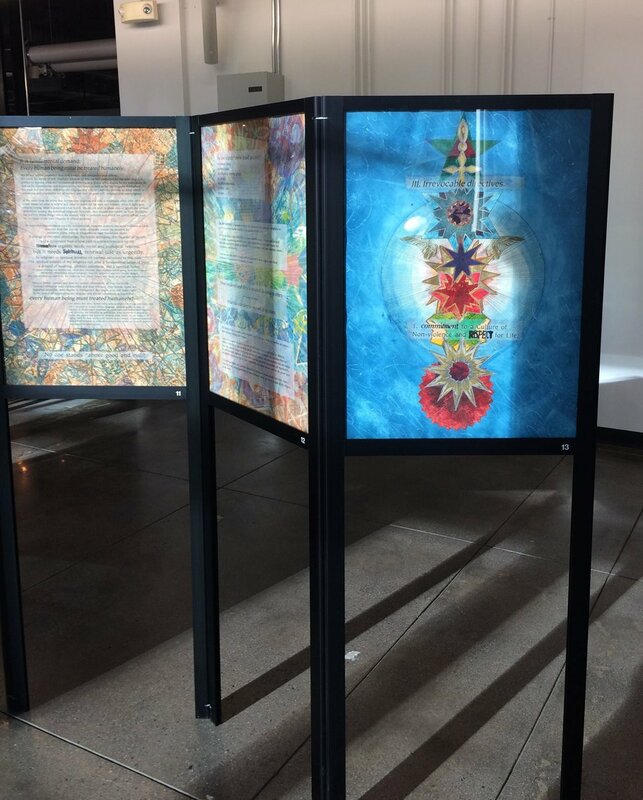 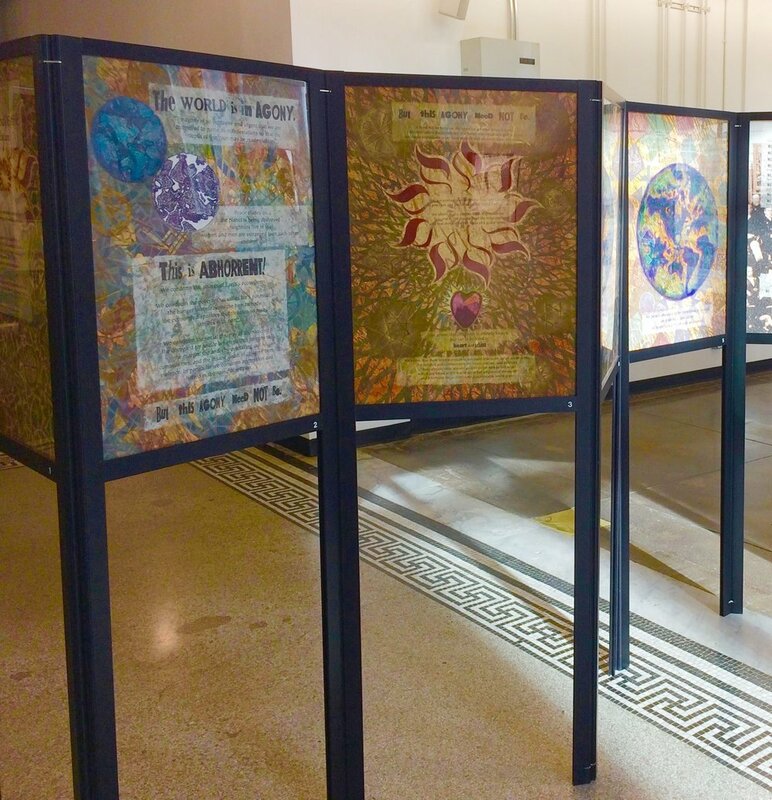 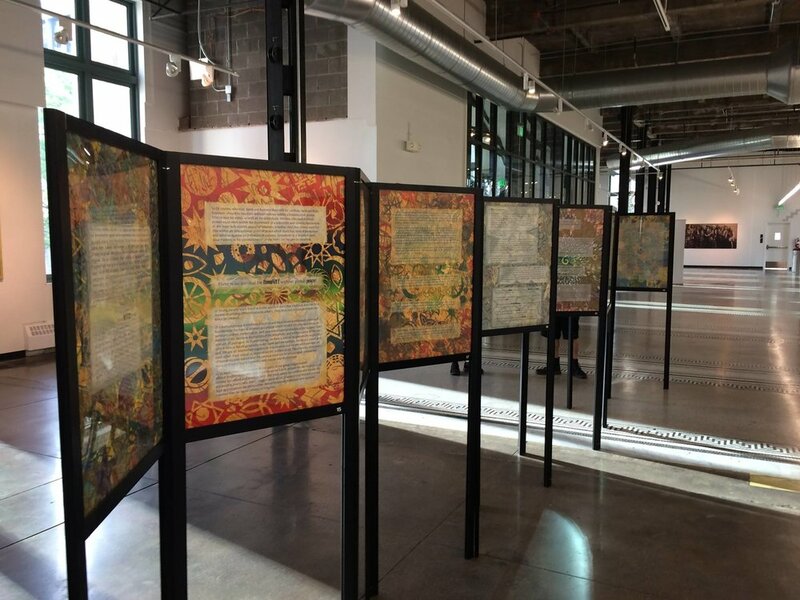 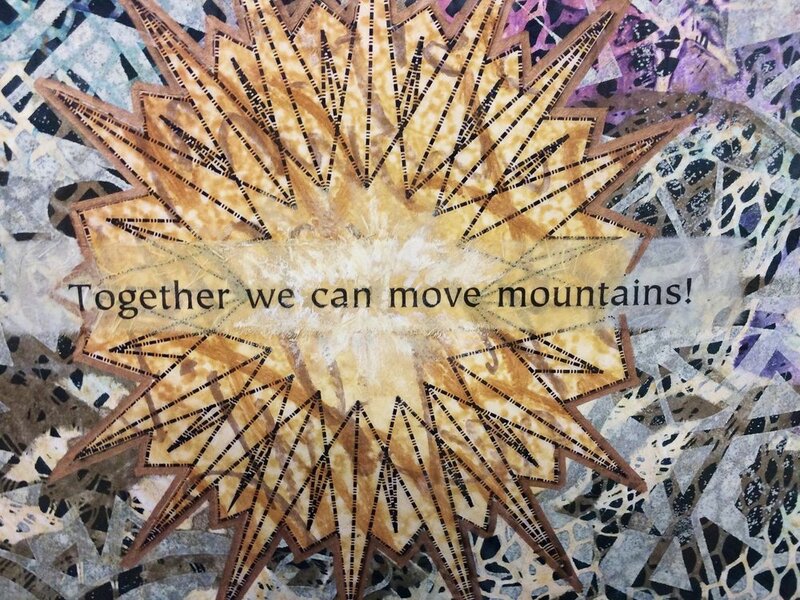 The illumination includes hand-made paper, delicate collage, meticulous type-setting, photos, and panels from the AIDS quilt. 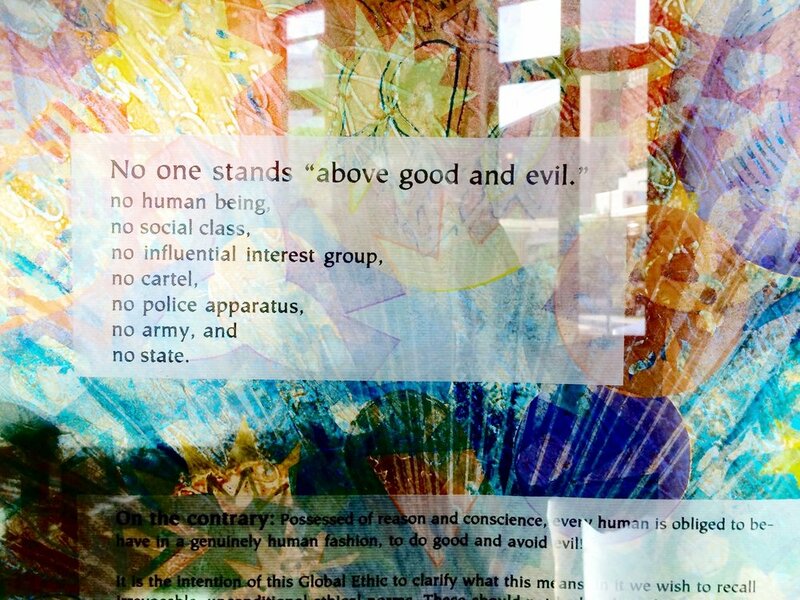 Written over 20 years ago, the words of this document are yet relevant today. 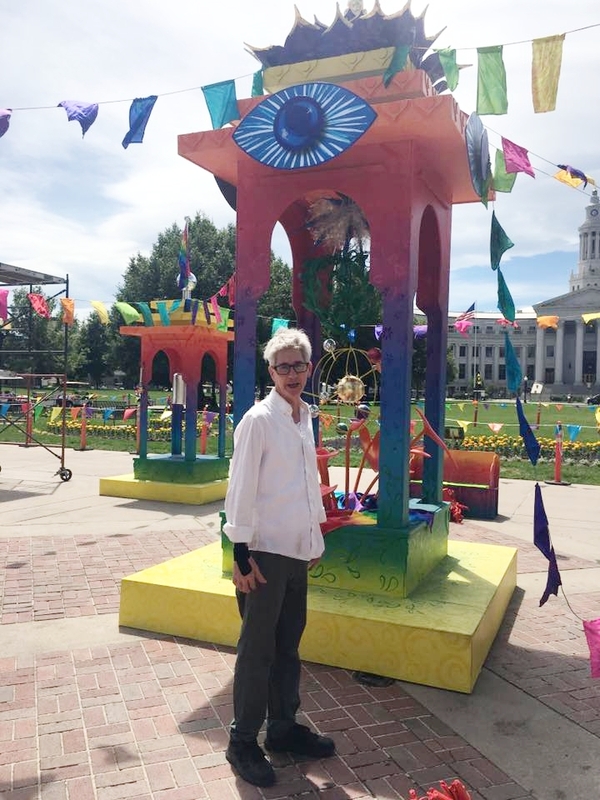 Lonnie's love and creativity gave it new life, and the opportunity to be viewed on the second floor of the McNichols building, along with a breathtaking view of Civic Center Park, the Shrine, and of course, Denver's proudest.